The folks over at X-Play have announced their nominees for their Best of 2011 Awards and Skyward Sword is shockingly absent from a number of their top categories. In particular, Skyward Sword was NOT nominated for the Best Gameplay Innovation, the Best Action/Adventure Game, or the Game of the Year. It’s really shocking that the game wouldn’t at least be nominated… considering it might very well win G4TV’s Videogame Deathmatch. Skyward Sword did end up getting nominated for two awards, Best Soundtrack and Best Motion Control Game. Considering Skyward Sword is up against two dance games, a game with optional motion controls, and Sesame Street… I think it has the Motion Control award locked in. The Best Soundtrack is debatable but I think it has a strong chance at taking that award. On the handheld side of things, Ocarina of Time 3D was nominated for Best Remake/Retro Release. To see a full listing of the nominees, make the jump for the Press Release. Los Angeles, CA, December 6, 2011 – G4’s “X-Play,” the most watched video game series on television, announces the nominees for the ninth annual “X-Play Best of 2011 Awards” as selected by G4’s team of gaming experts. In what will be remembered as one of the biggest years to date for the video game industry, the onslaught of shooters, sequels and sci-fi epics has lead to the culmination of 25 award categories including Best Shooter, Best Writing, and Best Animation. In a special one-hour show, “X-Play” will take fans through each category to reveal the champions, ultimately revealing the winner of the highly coveted Game of the Year award. In addition, “X-Play” will announce the winner of G4tv.com’s Videogame Deathmatch where the fans choose their favorite game of 2011. The battle began with 32 contenders and now is down to only two fan favorites: Assassin’s Creed: Revelations vs. The Legend of Zelda: Skyward Sword. 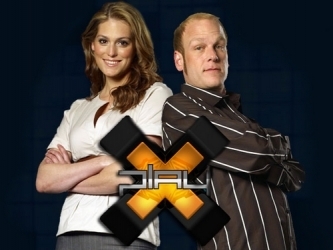 Don’t miss the hour-long year-in-gaming celebration when hosts Adam Sessler, Morgan Webb and Blair Herter present “X-Play Best of 2011 Awards” premiering Wednesday, December 14, at 6:00PM ET/PT, only on G4.